Who doesn't love a good scavenger hunt? I know my three kiddos enjoy them! 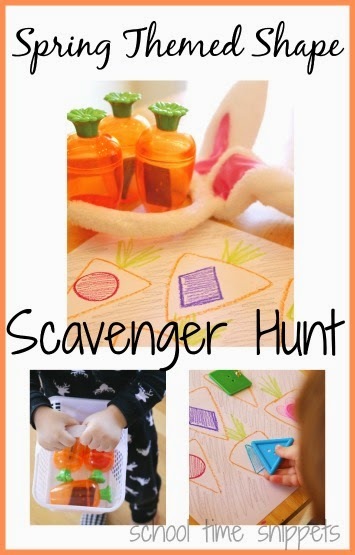 Today I am sharing a fun Spring Themed Shape Scavenger Hunt! This activity was put together with my 2 year old in mind, but my 4 year old saw it first and instantly started to match the shapes. And if you don't have shape manipulatives to use, this scavenger hunt could easily be adapted to another learning concept, such as numbers, letters, and/or name recognition. Once I gathered the button manipulatives I was going to use, I drew them on a piece of paper. 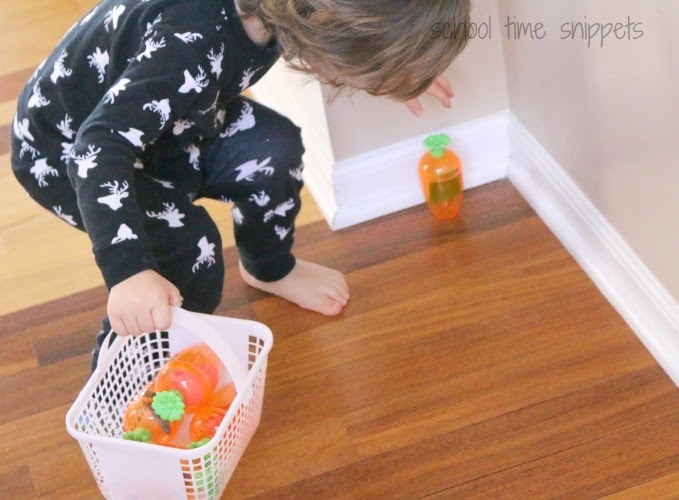 I put each button inside a carrot container and hid them around the house. I gave my son the Bunny Ears and he happily wore them for 2 seconds! Then he was off to find the carrots. 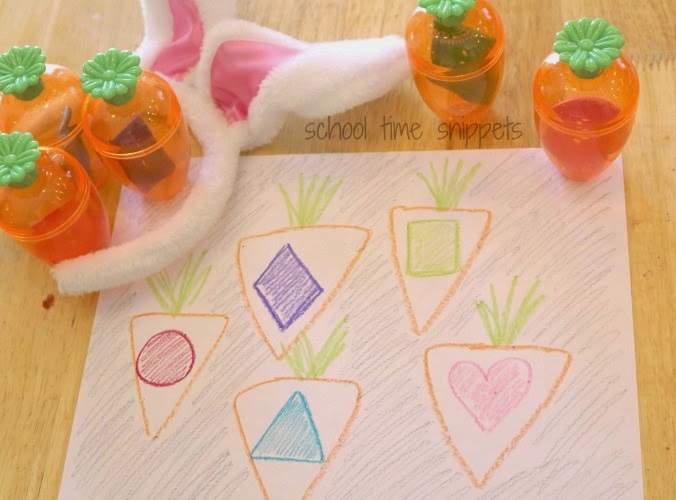 Once he found all the carrot containers, he matched the buttons to the paper. It was a great way to talk about colors, shapes, and counting. 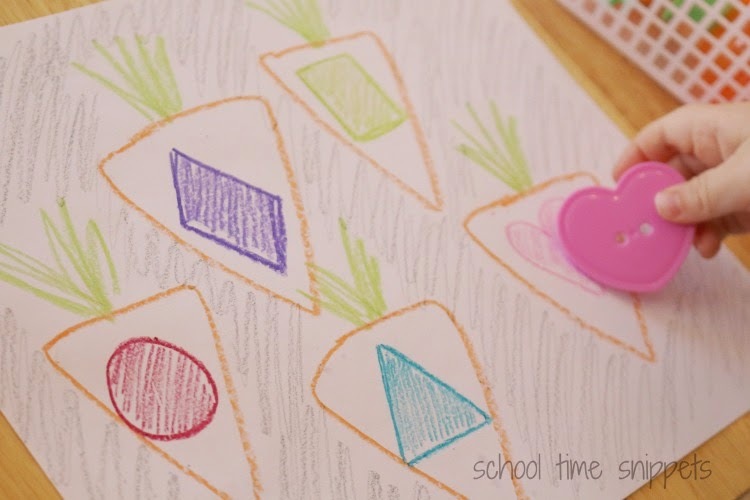 Have you been doing any Spring Themed learning activities now that the weather has gotten a tad bit warmer? I'd love to hear about them!